The town lies at the feet of the massive Gran Cordillera Central Mountain Range and it is off the beaten tourist track. The region is absolutely beautiful and consists of river valleys, hills and mountains. The Bulu River has its source here before it takes it’s 20 km run to the sea. The area also has many suspension bridges with the longest spanning some 50 metres. All towns have some specialties and here it is Rattancraft and soft broom making. When you get to the village, you will get a warm welcome by very friendly people and flowers are often given to guests. You get homestay accommodation in quaint rooms furnished with classic wooden furniture. The majority of local people come from cultural minorities such as Itneg or Apayaos and Igorots with a smaller number of Ilocanos. My brother-in-law has local relatives here. Some old customs survive, including the burial of their dead under or within the backyard. Many old traditional rituals, songs, dances and superstitious beliefs are still common today. The village was originally called Adan or Adang and was founded in 1599 as an outstation of Bacarra and then later Bangui under the American regime. Then in 1668, the Augustinian Fr. Benito de Mena Salazar was evangelized from a church that he constructed within the town. The population is about 1500 people. There isn’t any real factual recorded history but it’s been handed down through generations. In about 1900 the then American Governor William Taft preferred Baguio’s more comfortable climate during the oppressive heat of a Manila summer. Various American adventurers and missionaries travelled North and some ended up in a village in Pasaleng Bay near present day Pancian. The area was inhabited by peaceful tribes people and when they observed the approaching sailing ships thought they were under attack from pirates and promptly packed their few possessions and fled inland into the forest. They climbed the steep mountain cliffs and ravines and eventually they stumbled into a verdant valley with waterfalls and crystal clear waters that is now known as the Bolo River. The local streams were found to be rich with eel and a large variety of fish. There were also many deer and wild pigs to feast on. In addition they found many birds and squirrels and a variety of wild fruit to eat. The people were so impressed that they named it “Karayan ni Adan” (River of Adam) in commemoration of the earth’s first man as they had learnt from Spaniards. This name eventually became Adams. For those who want to try something new then this place has some interesting fare. When travellers arrive at Inuwayan Falls, the local tradition is treat visitors with delicacies such as the balballosa (wild eggplant); ubog (rattan shoots); chicken with cardis; aba (gabi), kukutit (crushed crablets), fried frog, kiwet (igat or small eel) and bean salad and salads of various leaves. All these delicacies are cultivated and sourced in the area. 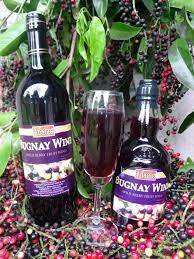 Another famous item is tapuey (rice wine) and bugnay (fruit wine). Tapuey is made from fermented thick rice, and bugnay is made from fermented bugnay fruit. The area has many waterfalls and should tempt the most active trekker. 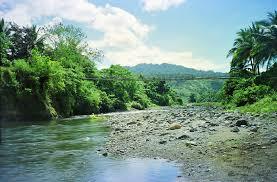 A short 25 minute trek along Maligligay provincial road will take you to Maligligay Falls. It is a 2 layered water falls with the upper layer having approximately 7m with a basin of about 4m. The lower layer is approximately 12m with a basin of about 3m. A Y-shaped falls with a height of about 10m and a basin of about 5m wide. Its water cascades from Mt. Palemlem (Pico De Loro). About 2 ½ hours trek from Baset bridge. 30-minute trek, crossing two hanging bridges and lots of streaming water along the way, before reaching Inuwayan falls. It comprises two layered water falls with the upper layer being about 7 metres high and a basin of about 2 metres wide. The lower layer is around 5 metres high with a basin about 2 metres wide. Cabacan Falls is about a 45minute trek from Poblacion. The height of the falls is about 8m high with a basin of about 5m wide. Anat Falls takes around 45minutes by trekking from Poblacion. It is approximately 6m high with a basin of about 3m wide. 1 ½ hours from Poblacion, Anuplig Falls is considered the “premier falls” of the area. It is a two-layered falls with an upper layer that has a 12m in height, with a basin of about 7m wide. The lower layer on the other hand has a height of 2m with a basin of 2m. It takes an hour walk for the 2.5 kilometre stretch of rain forest which consists of lush forest, crystal clear water, cool breezes and birdsong. A 40 minute trek from Malaggao, the Aki falls is 10ft. High (3m) with a basin size of 22ft. (6.7m). The water coming from the falls passes through long stretches of rice fields and trees. The Aki falls is divided into two levels. The lower level has a measurement of 18 feet high and the pond is 22 feet and the upper level is 55 feet high with a pond of 28 feet. 1 ½ hour walk from Malaggao proper, one of the most exciting parts of the trek is stepping on boulders and climbing on big stones using rattans and vines and hiking the slope of the mountains. Once you read the Kanayupan Falls, the place is rather cold, almost like being inside a refrigerator. It is a two-layered water falls with the first base having a measurement of 18 feet in height and 15 feet in diameter. The second base on the other hand, has a height of 63 feet and a diameter of 45 feet. Both areas are ideal for swimmers. Furthermore, the area has a nearby cave with bats flying around inside and above you. 1 hour trek from Malaggao, the height of the falls is 21 feet with a basin of 8.84m in width (29 feet). One way to reach Adams is by trekking and this starts from Barangay Panzian in Pagudpud. This is a 14 km, half-day and all uphill hike, that requires the crossing of streams crossing streams and rivers over suspension bridges. 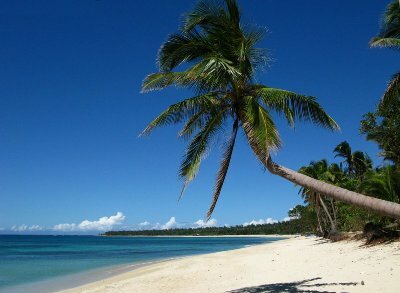 Drive on the National Highway towards Cagayan until you reach Barangay Pancian. Turn right as you when you come to the Adams sign right after Pannzian Beach. Follow this road until you reach Adams. It is highly recommended that you use 4x4 as its all uphill and a rough and rocky road. Tadek-bagat Festival (April 16-18): Presentation of the songs and dances of the different tribes in Adams. Foundation Day of Adams (May 16): To commemorate the creation of Adams as a municipality. The OTOP (One Town One Product) called SAPLID is being highlighted during the celebration. Saplid – is the local name of soft broom made from the tiger grass locally grown. Harvesting time of tiger grass is from February, March, April and May. The tiger grass flower is sun dried for 3 days and are stocked for months. Softbroom making is done at night when they retired from work or during rainy days when they are confined at home.